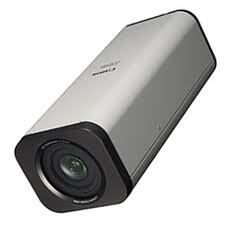 Canon has just unveiled a new IP security camera that has the ability to record in low light situations while capturing images at resolutions of up to 1,280 x 960. This new camera, known as the VB-M700F, uses a Digic Net image processor, a wide-angle lens, a 1.3 megapixel sensor and progressive scanning in order to record color video in areas with light levels as low as 0.018 lux or black and white videos in areas with light levels as low as 0.001 lux. In addition to that, the VB-M700F also comes with a night mode feature that adjusts digital gain and removes the camera’s IR filter. This feature can further be used to enhance the quality of video recorded in areas with low levels of ambient light. This camera also comes equipped with a privacy mask function that blocks the view of sensitive locations as well as a video analytics feature that allows users to observe subtle movements and evidence of video tampering by detecting abandoned, moving or removed objects. Additional features include support for PoE, integration with third-party security systems, a motorized 3x optical zoom, automatic contrast adjustment, two-way radio and an SD memory card slot. Available resolutions include 1,280 x 960, 640 x 480 (VGA), 320 x 240 (QVGA) and 160 x 120 (QQVGA). The camera also conforms to ONVIF version 1.2 standards in order to integrate with third-party systems and also allows control or access to network settings, preset home settings, system parameters and rebooting. Supported formats and control standards include WS-Discovery, WS-Security Multicast, G.711 audio, JPEG video and H.264 video. The Canon VB-M700F is set to be available in August for $979.